The high-level architectural debate will go on forever because no vendor will ever admit to having an inferior architecture. Ultimately, customers should judge products by results, not architectural claims. 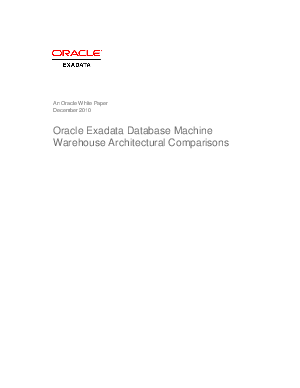 The same vendors that claim architectural superiority don't disclose basic performance metrics for their products since they fall well short of Exadata.